October 29, 2012	(Newswire.com) - "Creating more efficiency to safeguard the heritage of American Samoa while providing solutions to accomplish new construction projects is our main focus," states Dr. Joel Klenck, the Territorial Archaeologist of American Samoa. The American Samoa Historic Preservation Office (ASHPO) is responsible for protecting historic and prehistoric sites among the territory's seven islands. In April of 2012, the ASHPO began implementing strategic process improvements. The first objective of the ASHPO is to increase the level of responsiveness to government agencies seeking to construct roads, docks and other building projects in American Samoa. David Herdrich, the Director of the Historic Preservation Office, states, "Our office is required by law to respond to U.S. agencies within a thirty-day period. With the aid of Dr. Klenck, we now strive to respond within a week of our being notified of a construction project. Our recent data indicates a seventy-five percent improvement in the timeliness of our responses." The ASHPO also plans to modify its current system of data analysis. Klenck remarks, "The goal is to permanently improve the process by which we evaluate areas for potential construction with regard to the presence of archaeological artifacts and features. Currently, when contractors ask for an analysis of a particular area, we must look through many paper site forms to respond." 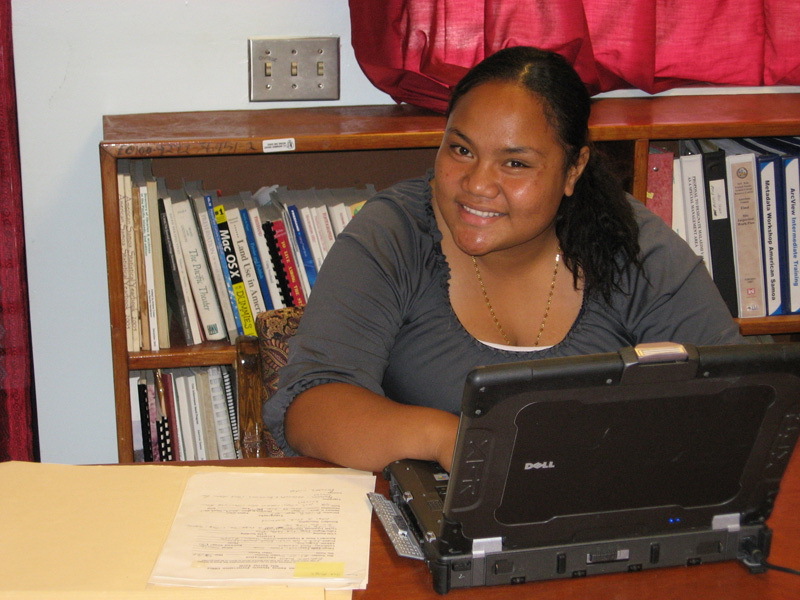 With the help of an archaeology intern, Ms. Victoria Su'e, all archaeological site forms are being added to a computer database. This data will then be updated and processed through a new archaeology program called ARC GIS 10 that enables researchers to ascertain archaeological features and artifacts throughout the seven islands of American Samoa using satellite data from the Global Positioning System (GPS). "In the future," Klenck adds, "Contractors will be able to give us the location of a construction project and within minutes we will have a clear understanding of the historical features and artifactual assemblages that were discovered in the researched area." Herdrich concludes, "These measures will make it easier for researchers formulate new studies of the past, preserve the heritage of American Samoa, and enhance efficiency in planning building projects."